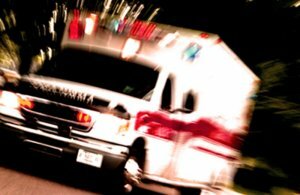 4-Year-Old Girl Suffers Neck Injury In Port St. Lucie Crash | Schuler, Halvorson, Weisser, Zoeller & Overbeck P.A. A 4-year-old girl was injured in a three-car collision along SE Port St. Lucie Boulevard in Port St. Lucie. The eastbound lanes of SE Port St. Lucie Boulevard were blocked after a three-vehicle crash in Port St. Lucie. Emergency services were on ground after the deadly crash which sent two people to the hospital including a 4-year-old girl with a neck injury. Authorities say the 67-year-old driver of a Nissan Infinity FX was going 68MPH on the eastbound lane of SE Port St. Lucie Boulevard when he crashed into a Honda Civic just East of Gowin Drive. Due to the impact of the crash, the Honda Civic lost control and slammed into a Volvo which was parked on the right shoulder of the road. A 4-year-old girl was in the backseat of the Honda when the crash occurred. She sustained serious injuries from the crash including a neck injury. She was transported to a hospital by paramedics on the scene. She is said to be in a stable condition at the moment. The driver of the Honda Civic, a 37-year-old mother, was also injured in the crash. She sustained severe head trauma among other injuries and was taken to the hospital for treatment. The driver of the Nissan Infinity suffered minor injuries in the crash and was treated by paramedics on the scene. Emergency services were spotted on the scene clearing the wreckage from the roadway. Investigations are still ongoing to determine the cause of the crash.